There are many ways you can support Keep Port Aransas Beautiful, your time, efforts, and positive words are all very valuable to us. Donating funds to our organization can help build programs like our beach kiosks, scholarships and recycling efforts. Keep Port Aransas Beautiful has set up a Hurricane Harvey disaster response fund for local assistance to our community. We helped provide urgent needs like meals, supplies and other necessities and now are committed to helping the community recover. 100% of these funds will be spent supporting the Port Aransas Community and area wildlife. 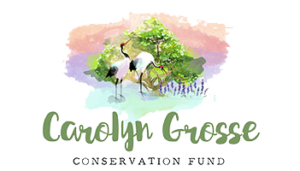 In honor of the work Carolyn R. Grosse (1943-2017) did for the Port Aransas Nature Preserve and surrounding areas a fund has been set up to work towards creating an endowment for future environmental restoration projects. Carolyn was instrumental in work on habitat preservation and invasive species management. are used to support the mission of the organization. We are a volunteer led organization working to help create a cleaner more beautiful Port Aransas through promoting behaviors like reducing litter, recycling, using native plants, and beautification of streets and public spaces. We work to educate the community on why protecting our natural resources is important for the sustainability of our community. By making a simple online payment you can help support the work of hundreds of volunteers and thousands of hours spent on creating a cleaner more beautiful Port Aransas. Financial contributions are tax deductible. Interested in letting others know that you support Keep Port Aransas Beautiful? Contact the KPAB Chair for sponsorship opportunities.